Sensor-embedded construction elements are part of the quality assurance tools developed and tested in the Built2Spec project. Magdalena Hajdukiewicz and Marcus Keane from National University of Ireland Galway explain us the advantages of such smart material. 1. You were currently developing a methodology on using sensor-embedded construction elements. What are the advantages of such smart building materials in comparison to common used materials? Sensors can be embedded in structural elements in order to improve quality control and assurance. Historically, monitoring of structures was motivated by the need to understand their performance in extreme events, such as earthquakes and storms. However, in recent decades, performance monitoring has emerged as an increasingly important tool in civil engineering to understand how structures behave during construction and operation. The current state of technology allows for embedding a wide variety of sensors and thus, for monitoring of various structural and environmental properties of building elements/systems through the whole life cycle of the building. Thus, the environmental and structural monitoring of a smart building elements commences at the manufacturing stage of the precast element, through the on-site installation and continues during the building commissioning and operation, and is underpinned by recognised quality management standards. The continuous monitoring and inspection of the data allows strength gain and environmental performance of concrete to be continuously monitored and compared with design intent, standards and guidelines. 2. What kind of smart building materials do you develop in Built2Spec and why did you choose especially these ones? Concrete is a long lasting building material that requires very limited maintenance, replacement or application of toxic paints or preservatives. Moreover, the thermal capacity of concrete leads to thermal stability and thus offers considerable energy savings and good quality of indoor environment. 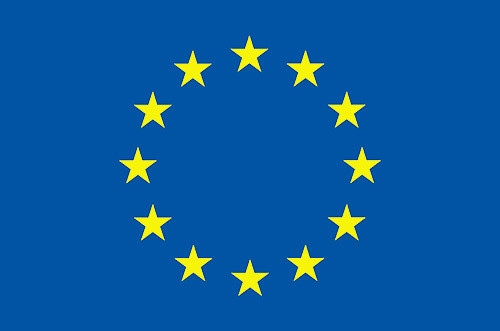 Hence, concrete is the primary construction material in most of the sustainable developments in Europe. Precast reinforced and pre-stressed concrete is widely regarded as an economic, structurally-sound and architecturally versatile building medium. Controlled and cost-effective manufacturing processes guarantee high quality products at a reduced cost and a minimum design / manufacturing / construction time. Despite the popularity of concrete as a building material in Ireland and Europe and its well-known structural properties, there is a dearth of research available on the interaction between the building structure and indoor environments to support energy efficient solutions in buildings. Furthermore, since defects occurring during the construction processes are costly and detecting them manually can be time consuming, there is a potential for advanced technologies to aid in quality control during construction processes. 3. What is your experience using the smart components in practice so far? Alice Perry Engineering Building (completed in 2011), a 14 250 m2 building (4 storeys) accommodating about 1100 students and 110 staff in the College of Engineering and Informatics. The building is equipped with the building management system (BMS) including weather monitoring. There are more than 260 strain and temperature sensors embedded in the building’s precast concrete structural elements, over 140 sensors and meters measuring indoor air temperatures, humidity, noise and CO2 concentration, water and energy consumption. Institute for Lifecourse and Society (completed in 2014), is a 3 700 m2 building (3 storeys) predominately built in a precast concrete technology. It is equipped with about 120 temperature sensors embedded in the floor / roof lattice slabs and twinwalls, and about 60 stress gauges embedded in the floor lattice slabs. Human Biology Building (completed in 2017) is an under construction 8 000 m2 building (5 storeys) designed and constructed in the precast concrete technology. There are 150 strain and temperature gauges embedded in the precast and in situ concrete slabs. Data gathered from these demonstrator buildings allow for their real time structural and environmental performance monitoring. Furthermore, these measured data can support the development of calibrated numerical models (finite element (FE), computational fluid dynamics (CFD)) that can predict building structural and environmental performance under various conditions (climatic, loading, etc.) allowing for further innovation in building design and operation. Magdalena Hajdukiewicz is a graduate of Wroclaw University of Technology, Poland where she obtained a Master of Civil Engineering. The topic of her dissertation was ‘Technological and economic analysis of a deep retrofit of a large residential precast concrete building’. In 2013 she completed her PhD, as part of the NEMBES project, under the supervision of Dr. Marcus Keane at NUI Galway. The topic of her PhD thesis was ‘Formal calibration methodology relating to CFD models of naturally ventilated internal environments’. 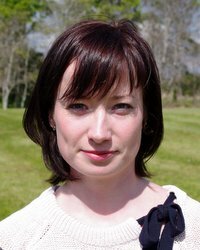 Currently, Magdalena is a senior postdoctoral researcher and an adjunct lecturer in the College of Engineering and Informatics at NUI Galway. Dr. Marcus Keane has extensive knowledge and experience in the development of integrated Building Information Models (BIM) that encapsulate the processes and data associated with holistic environmental & energy management in buildings and industrial processes. 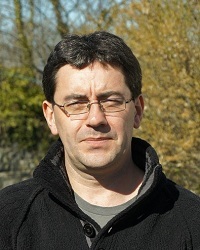 Dr. Keane founded the Informatics Research Unit for Sustainable Engineering (IRUSE) at University College Cork in 2000 and expanded IRUSE to be a dually affiliated research unit with NUI Galway following Dr. Keane’s transfer in 2007. IRUSE has developed BIM’s for a number of buildings both in Ireland and the US through collaborations with NUIG’s partners in Lawrence Berkeley National Laboratory (LBNL) at the University of California at Berkeley. The BIM models developed by IRUSE are built around a formally designed integrated data model based on the IFC data schema which is now and ISO standard for interoperability in the AEC industry.